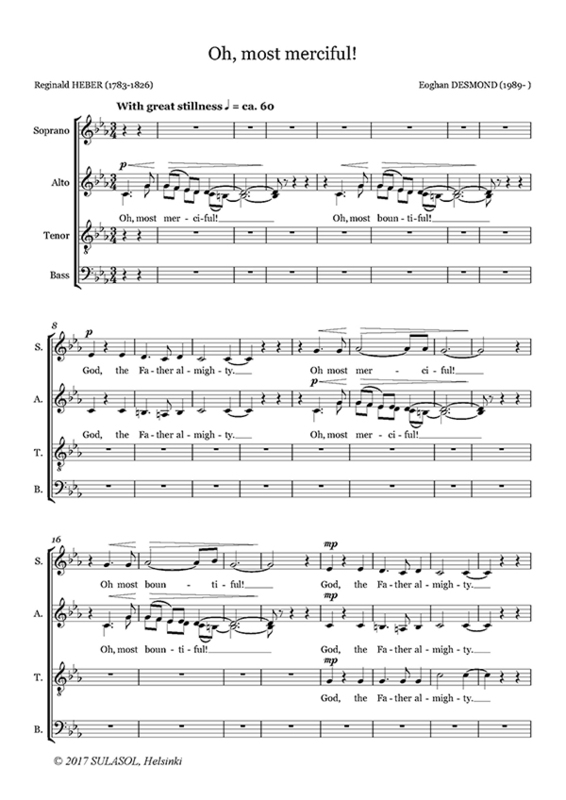 A little motet for mixed choir to text by Reginald Heber (1783-1826). Text: Oh, most merciful! Oh, most bountiful! God the Father almighty! By the Redeemer’s sweet intercession, hear us, help us when we cry.